European stocks are becoming more popular with American and foreign buyers as a perfect storm of conditions brings potential yields up. This is despite last week’s declines in most European indices – a drop attributed to oil volatility amid the war in Yemen. The Euro Stoxx 600, which represents a gauge of equities in 18 European countries, rose again on Friday after initial drops at the beginning of the week. Overall, the Euro STOXX 600, is up more than 14 per cent since the start of 2015. Germany’s DAX, Italy’s FTSE MIB, and France’s CAC-40 have all gained similarly in the same period. Global conditions have made these indices lucrative, particularly when US markets have enjoyed far less success. The US dollar is up, which means it has gained considerable purchasing power. In particular, the US dollar is up around 30 per cent to the euro just six months ago. The euro is not likely to gain much ground in the next year as it is being held steady by the European Central Bank’s quantitative easing (QE) program, which began earlier this month. Since February, European stocks rose in anticipation of the ECB’s awaited announcement that it would intervene to halt the Eurozone’s slide into recession by launching a bond-buying program that is QE. Essentially, the ECB will buy back government bonds that were purchased by the banks. This in turn creates more money in circulation in the Eurozone economies. It is tantamount to printing more money. The bond-buying – or QE – mechanism therefore provides banks with more funds to use for loans to finance projects and fuel investment. A Bank of America Merrill Lynch Fund Manager Survey conducted in late February found that they were “significantly more positive on the outlook for Europe after the European Central Bank’s announcement of quantitative easing”. 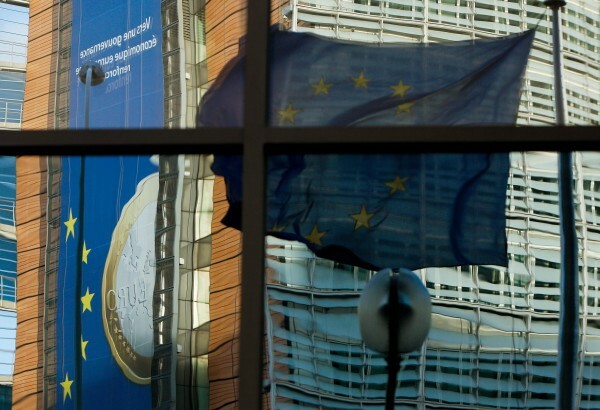 Europe’s profit outlook is at its best since 2009, according to panel members. A net 81 percent of regional specialists see the economy strengthening in the next year. Against this background, a record net 51 percent make the region their top pick in equities over a one-year horizon, up from January’s net 18 percent. There is historical precedent for this: When the Federal Reserve intervened with its own QE in 2008, it helped set the stage for considerable growth in US stock markets. The Nasdaq, S&P 500, and Dow Jones Industrial Average all broke one growth record after another in the past three years. Global investors are hoping to see the same trend pick up in European markets. So far, Germany’s DAX appears to be outperforming others in Europe. Already considered Europe’s strongest economy, Germany exports its wares by the hundreds of billions. A lower euro makes its products cheaper to export and therefore is likely to see its GDP rise by the end of the year.